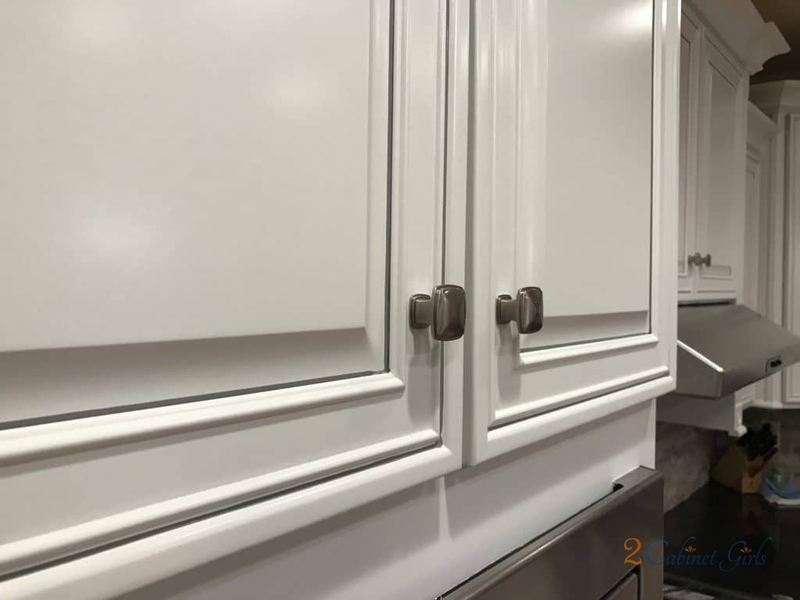 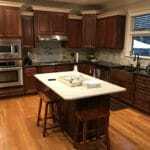 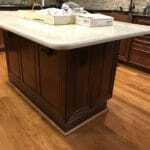 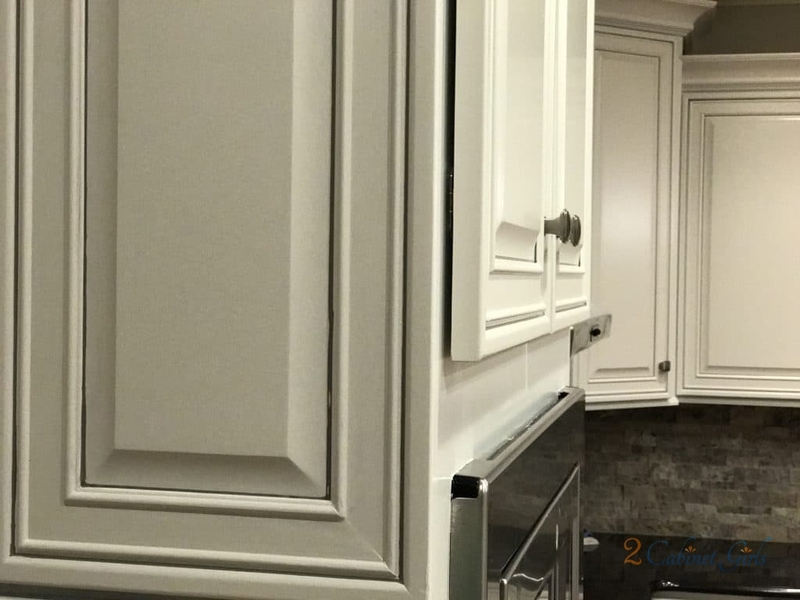 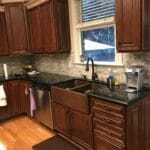 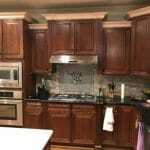 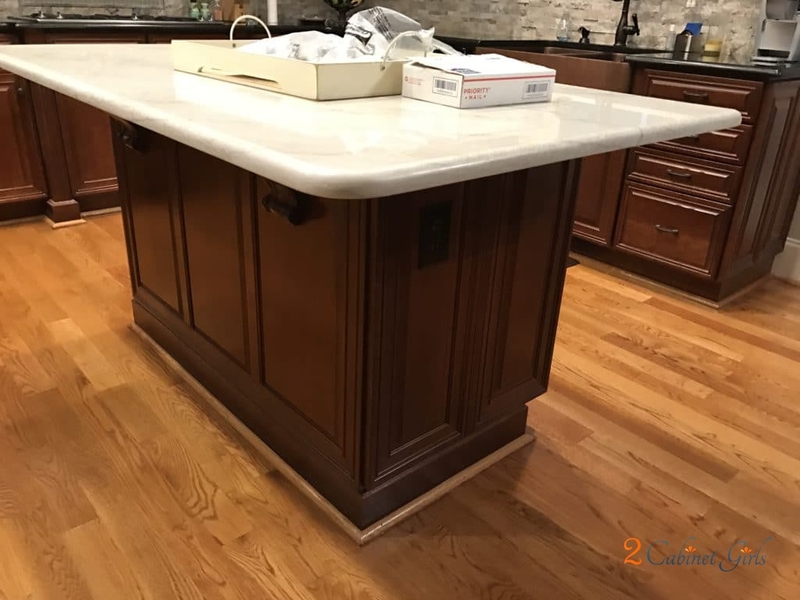 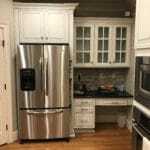 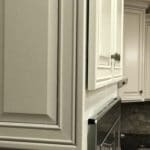 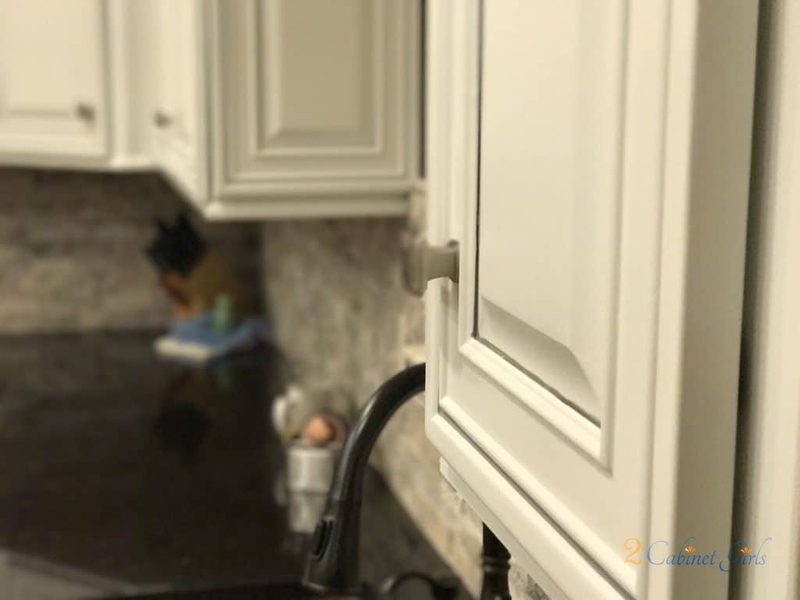 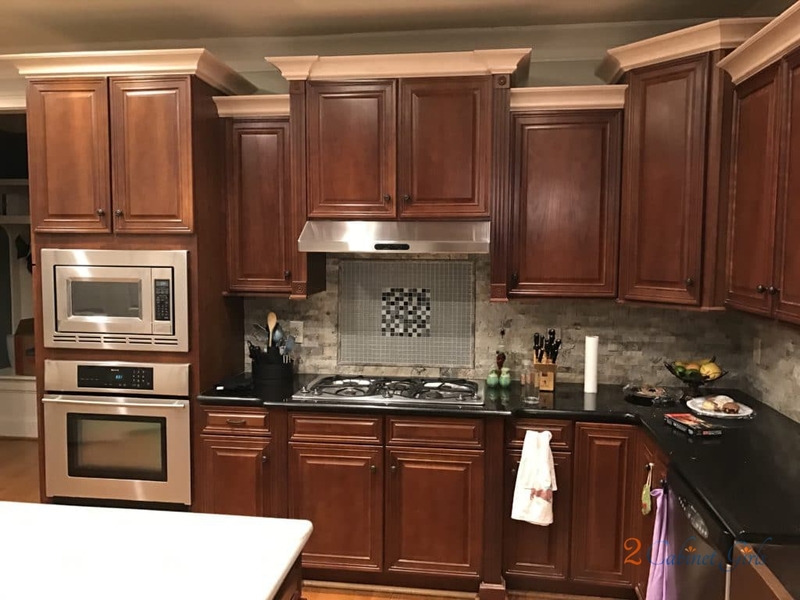 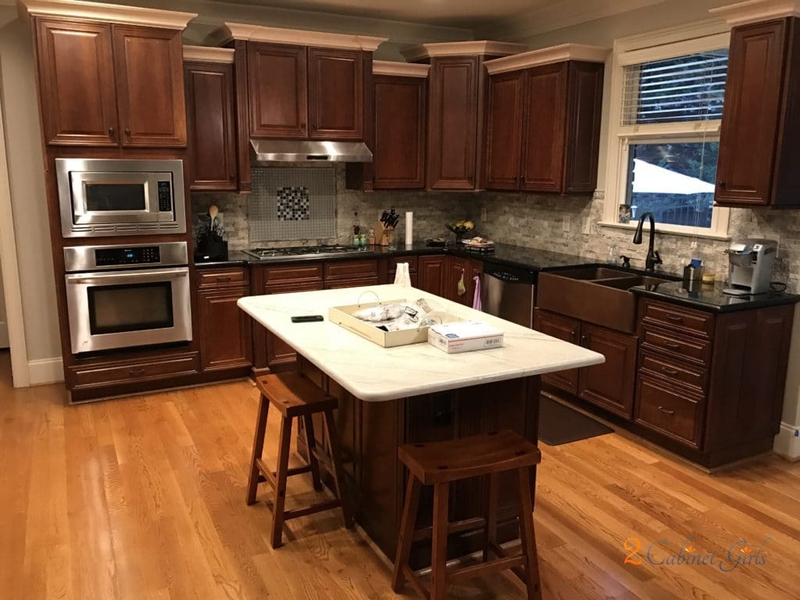 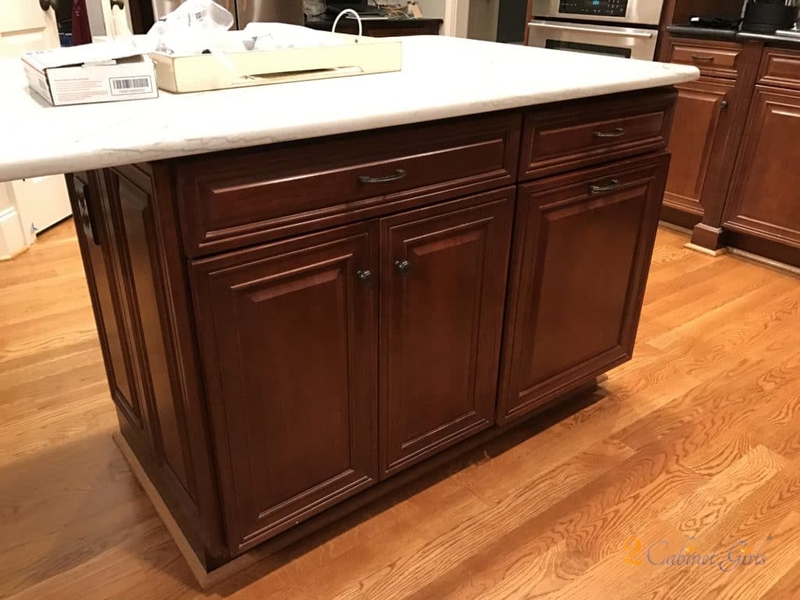 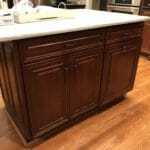 This kitchen was in the midst of a total overhaul – new backsplash, new counters, and crown moulding added to the top of the cabinets. 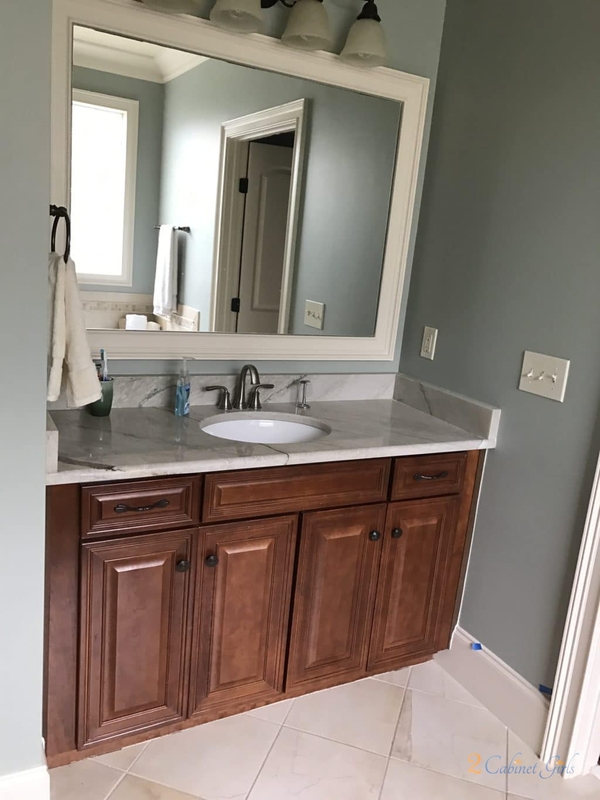 We came in at the end and brought the whole project together, with paint. 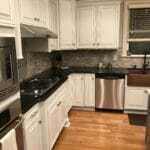 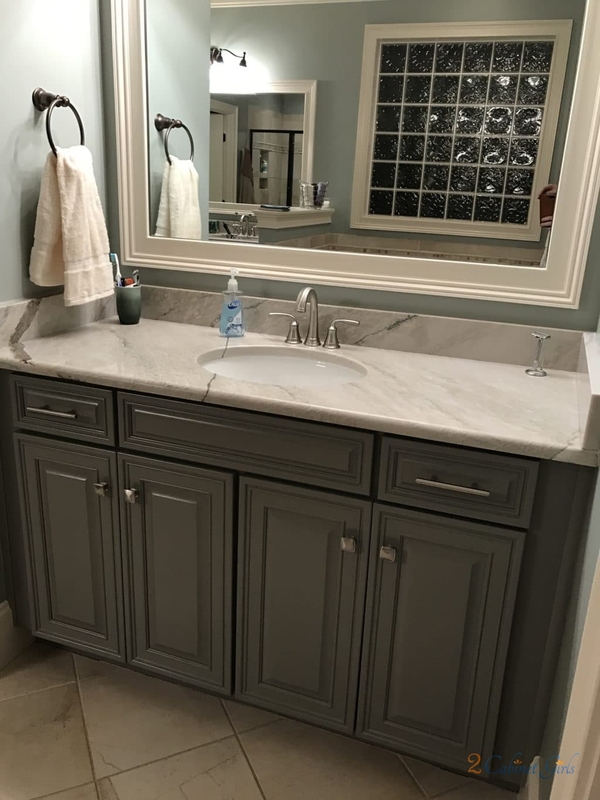 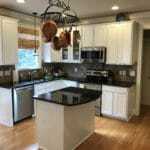 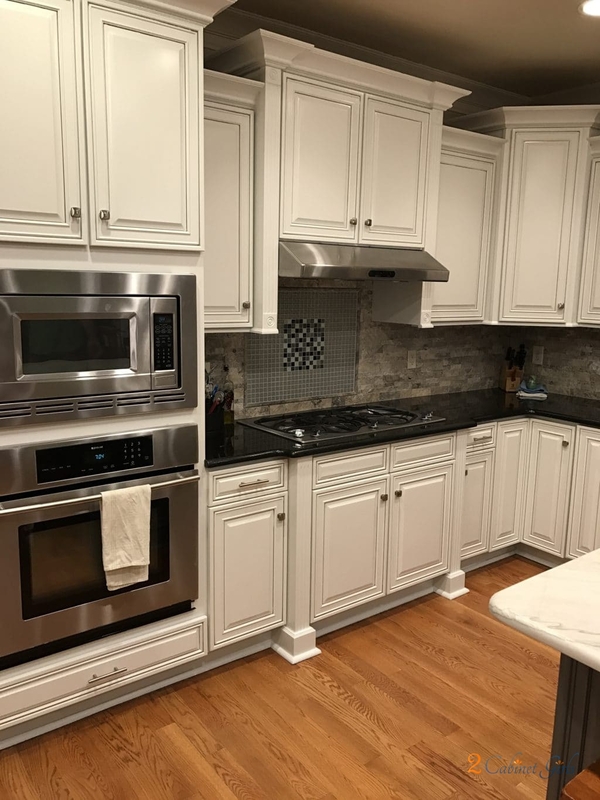 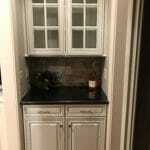 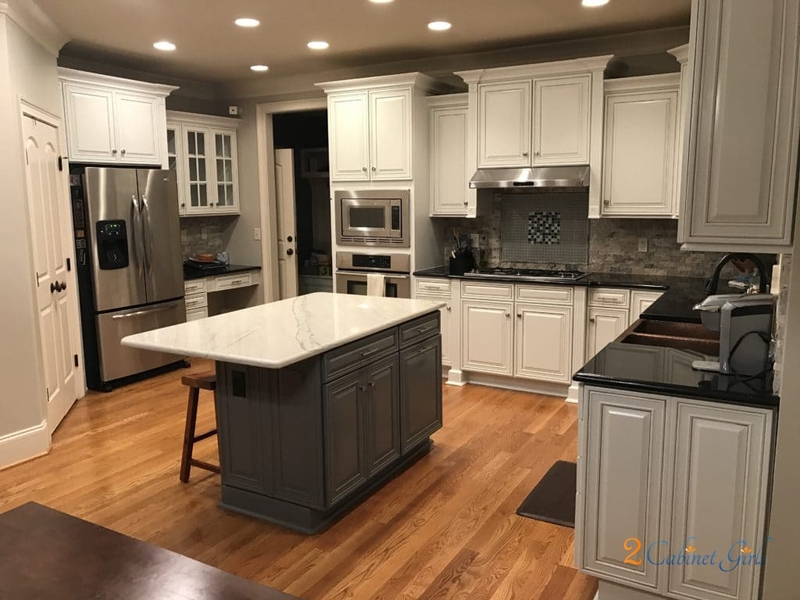 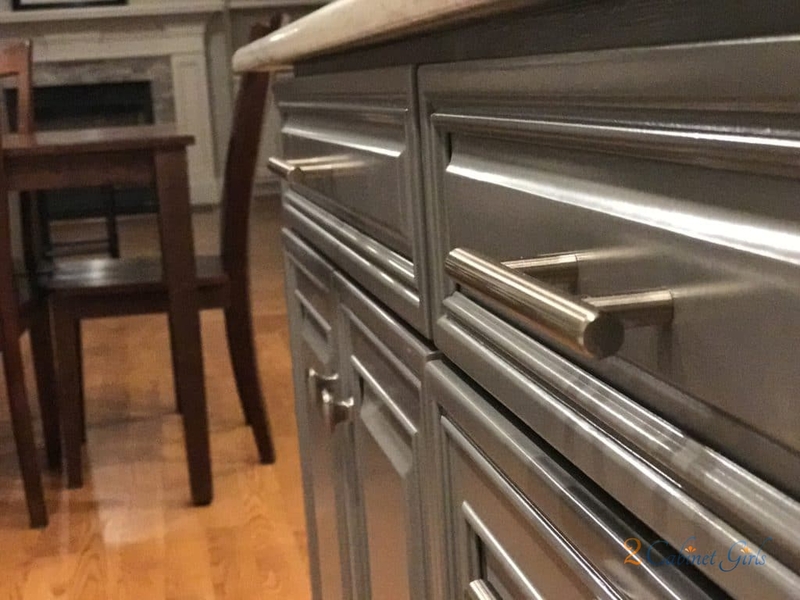 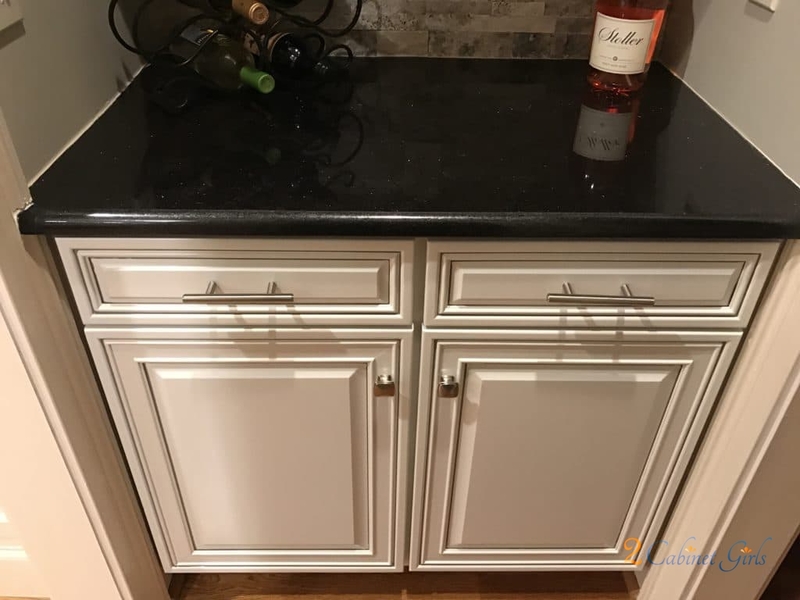 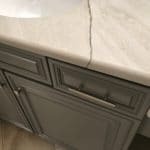 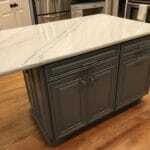 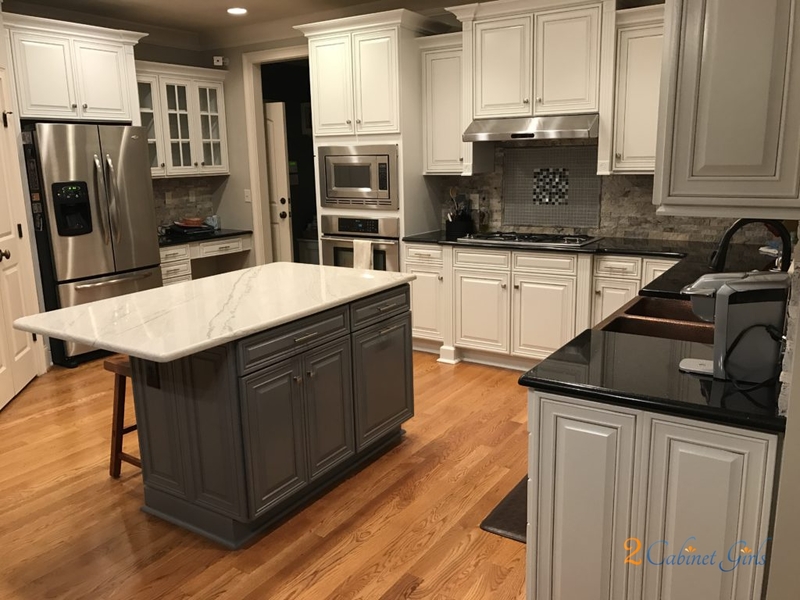 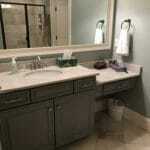 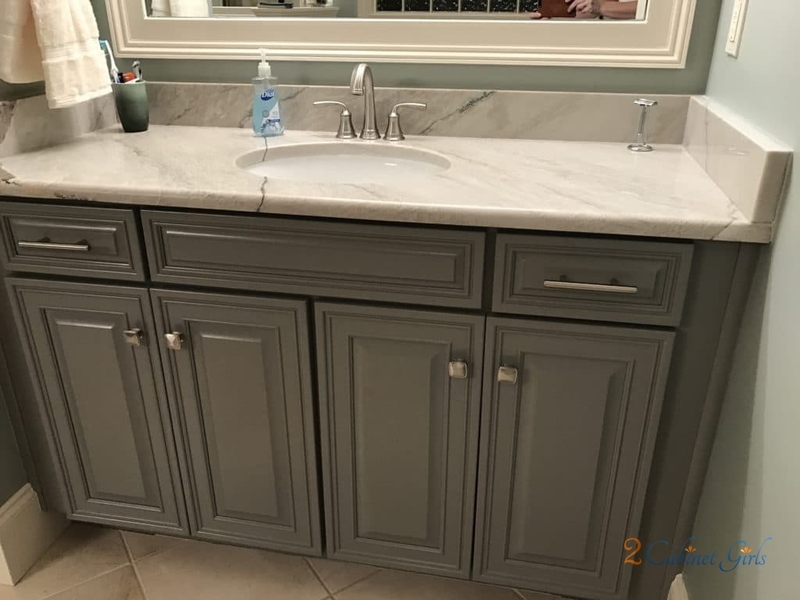 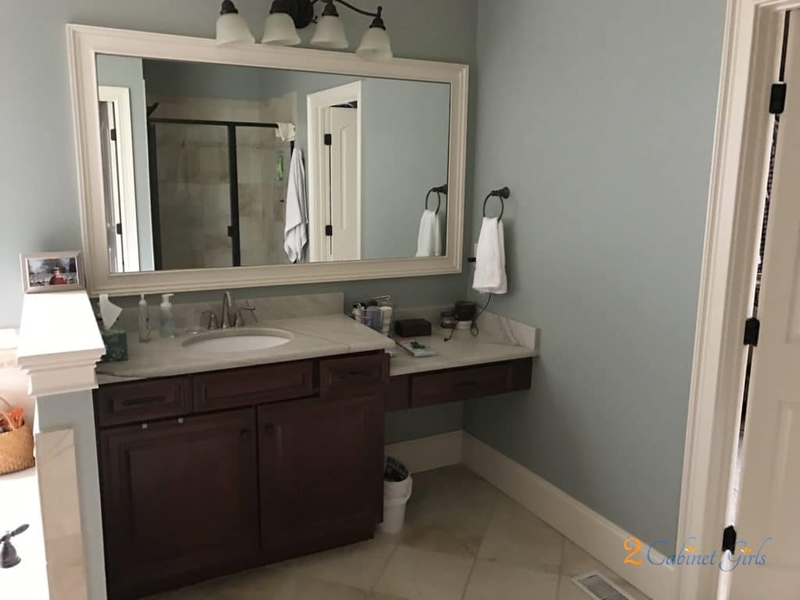 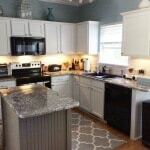 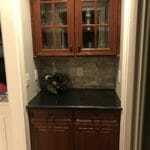 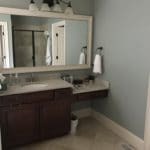 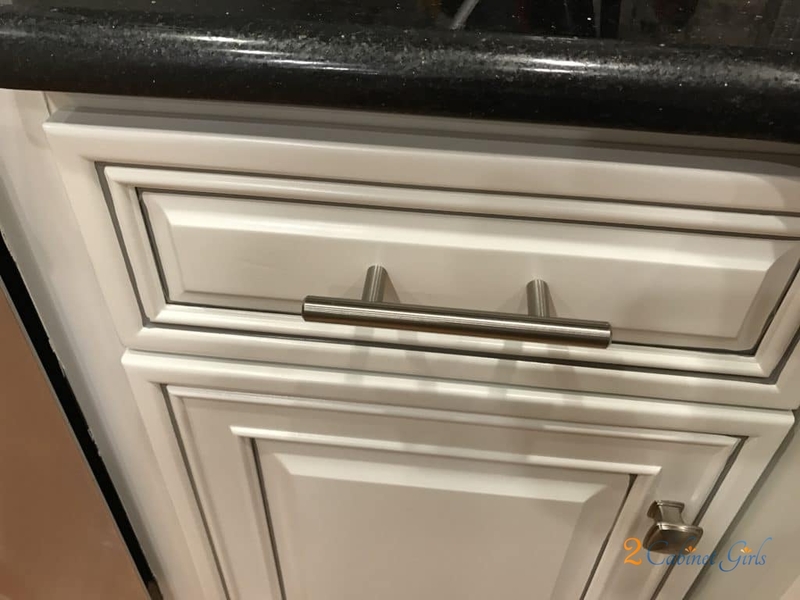 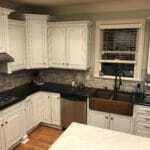 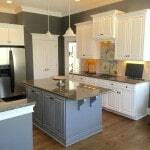 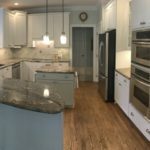 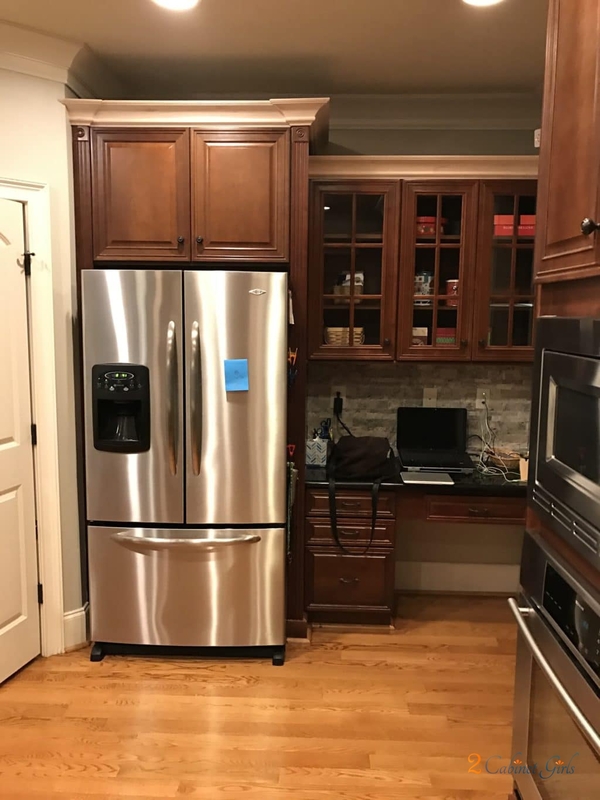 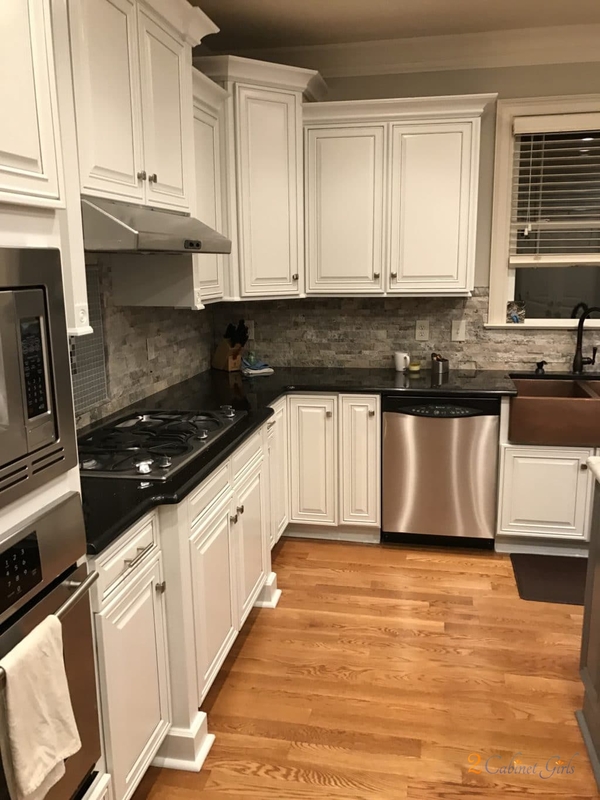 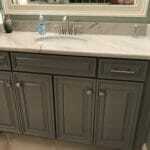 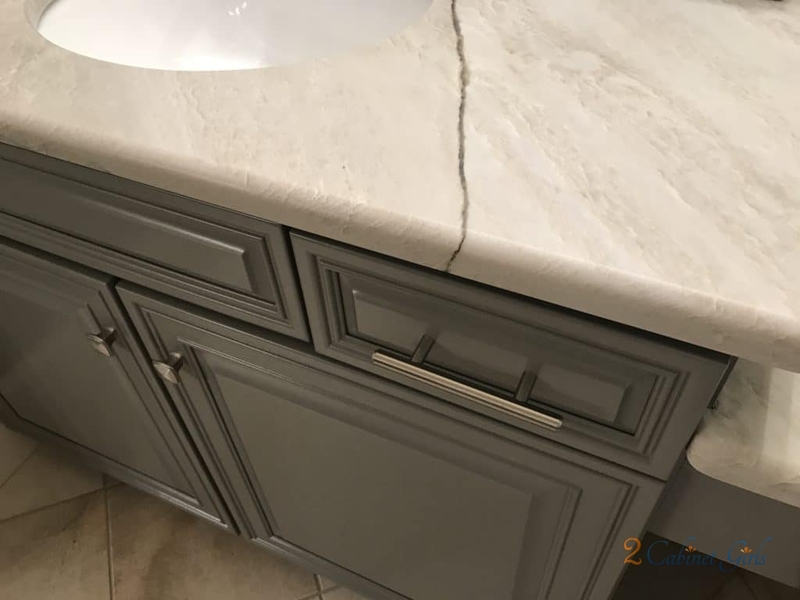 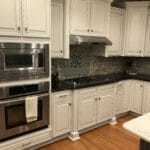 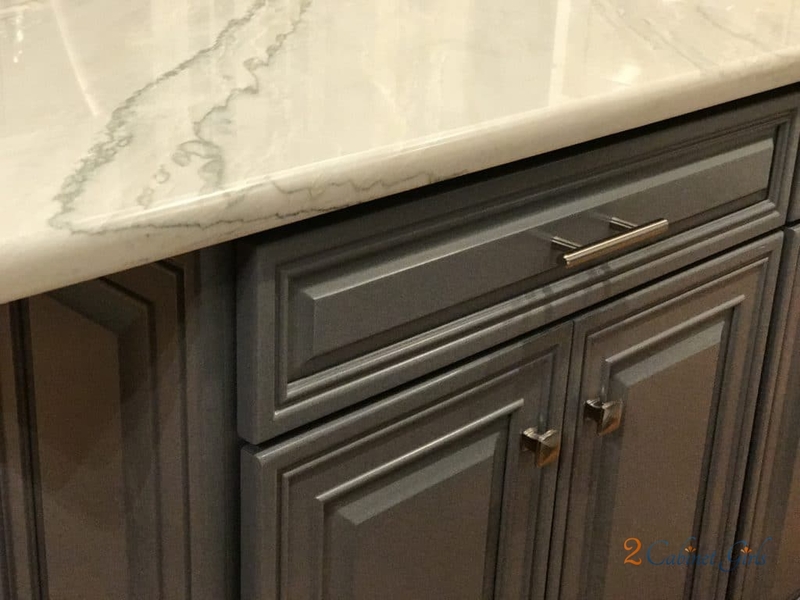 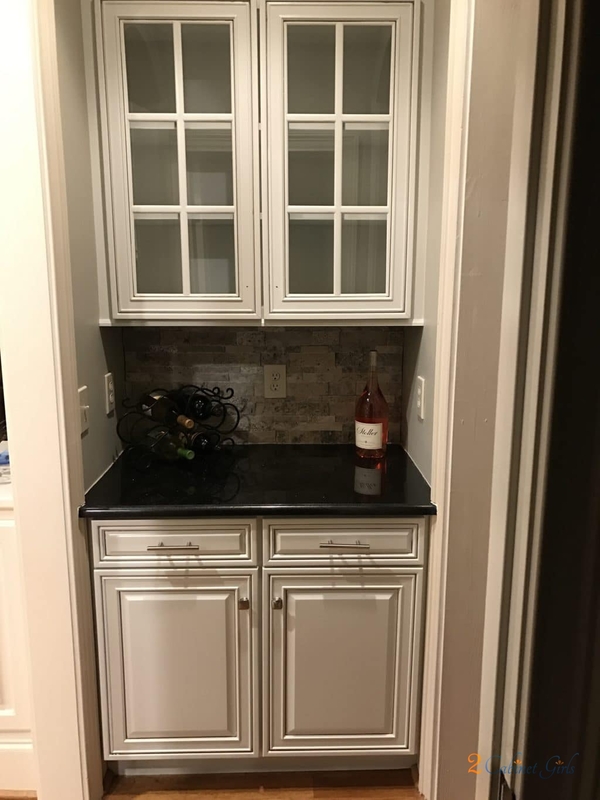 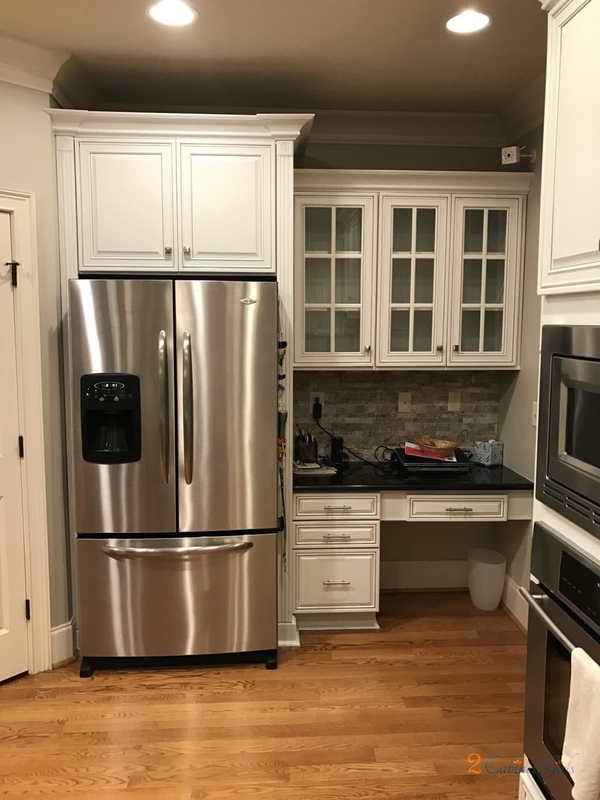 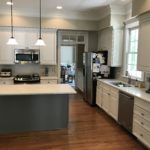 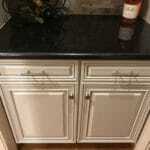 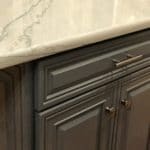 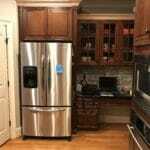 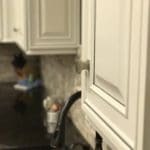 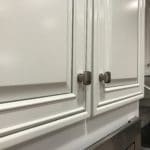 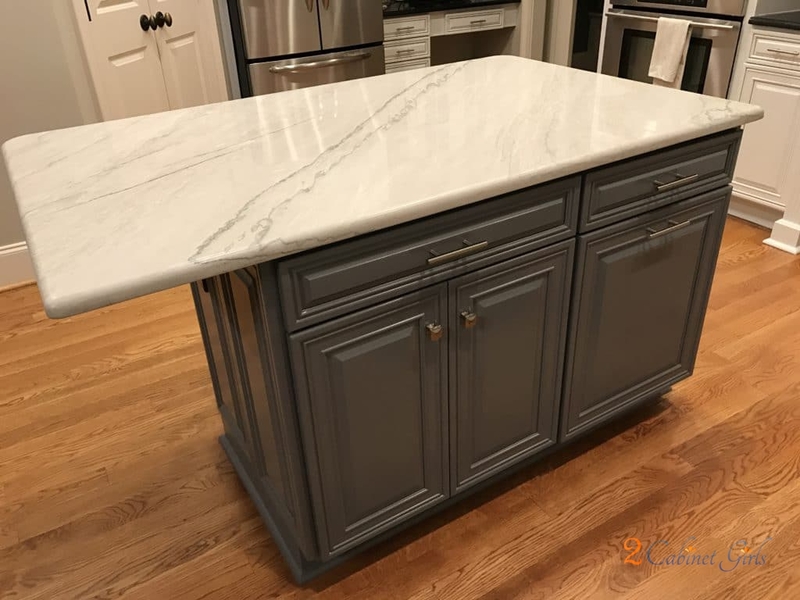 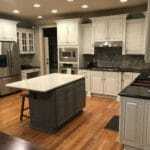 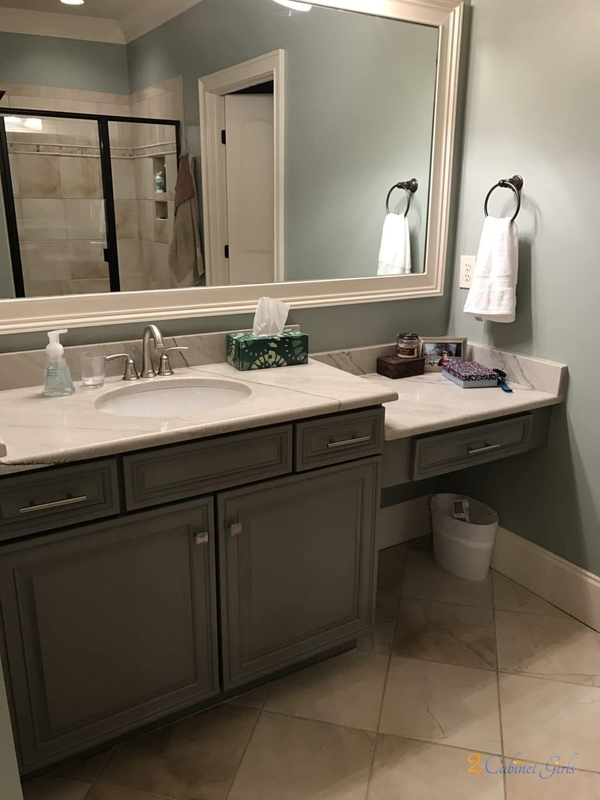 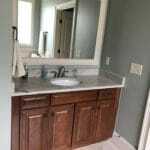 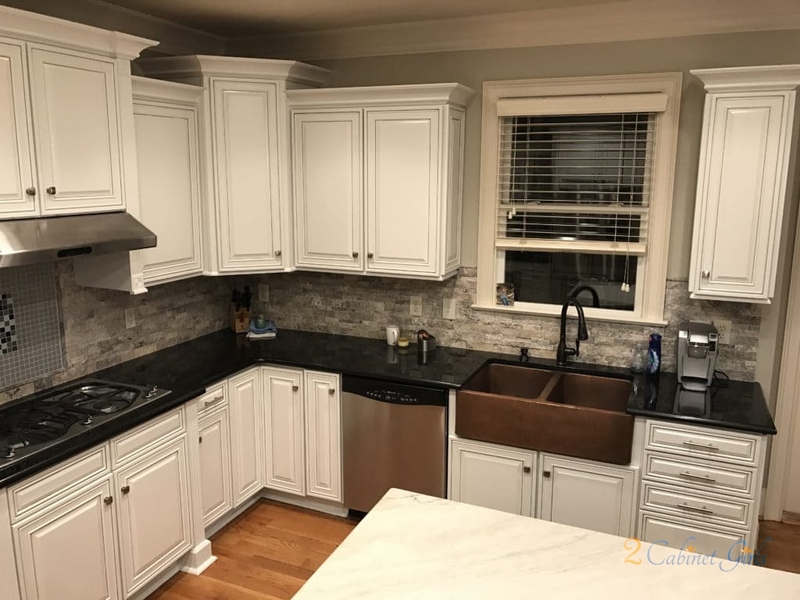 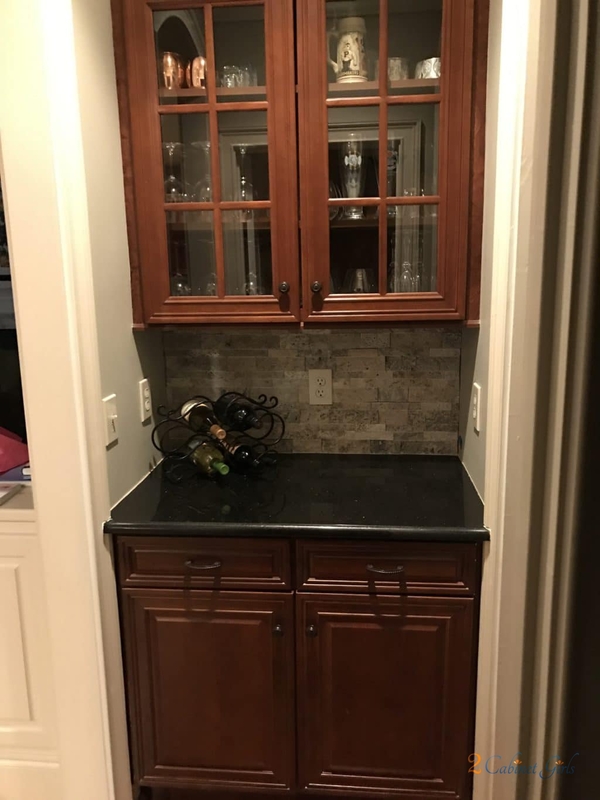 The homeowner chose a white with hints of gray to tie in the backsplash, the counters and the new paint on the island. 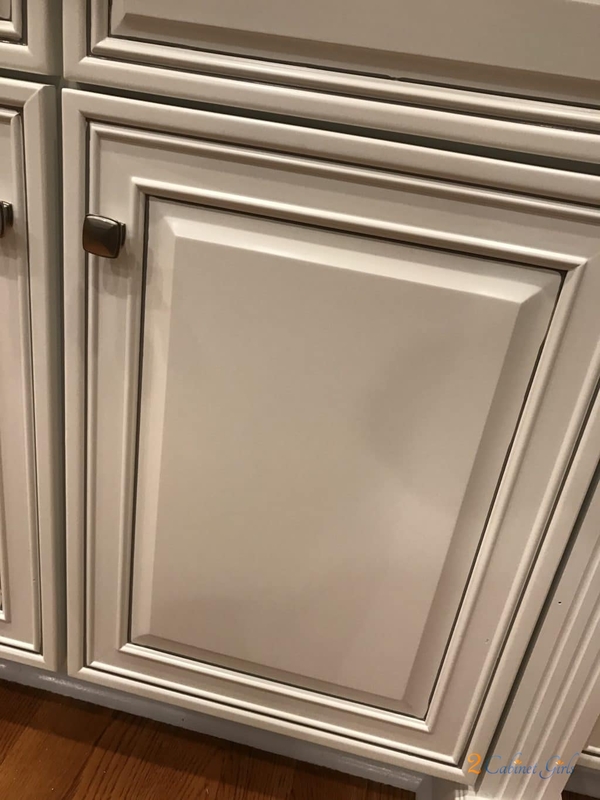 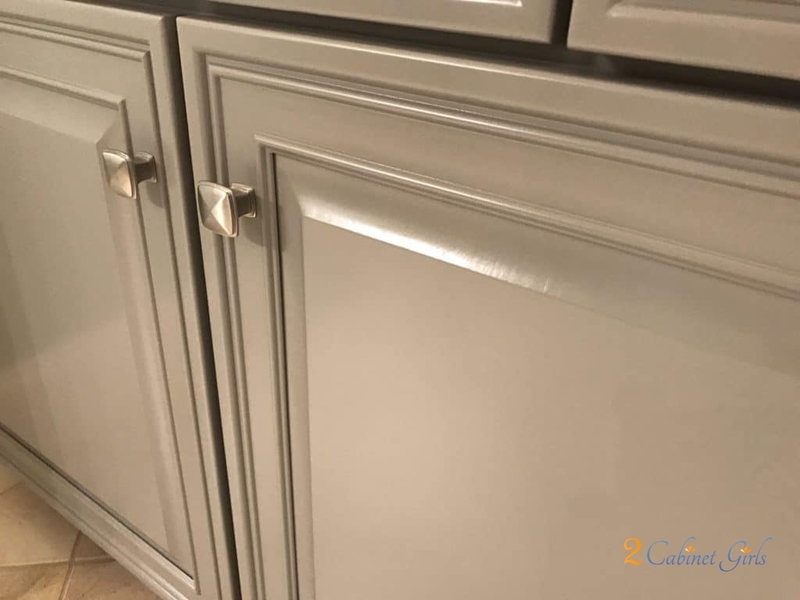 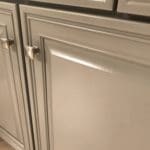 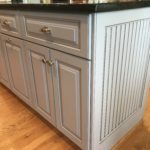 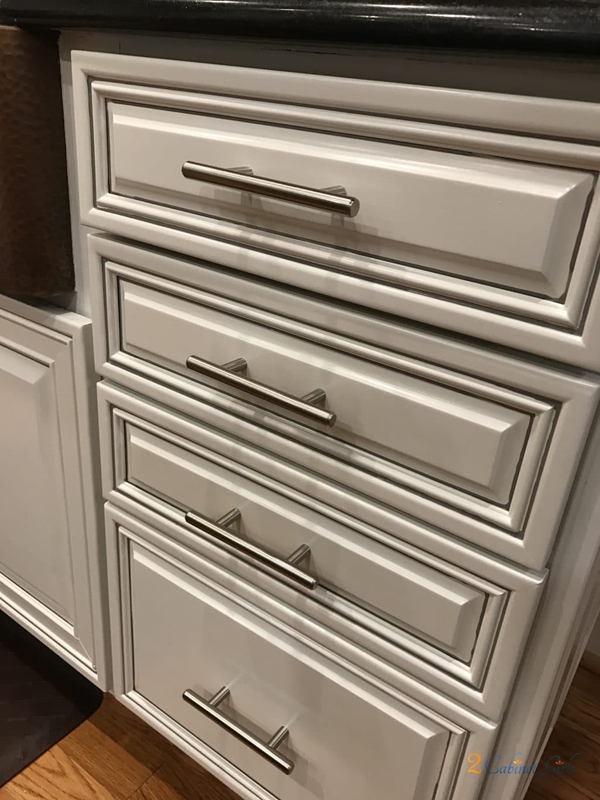 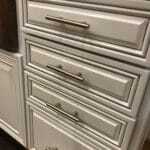 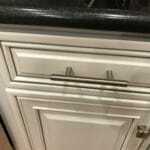 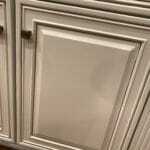 Adding some pinstripe glaze in the same color as the island made the door details pop! 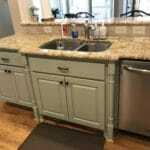 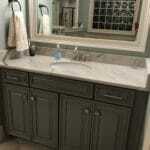 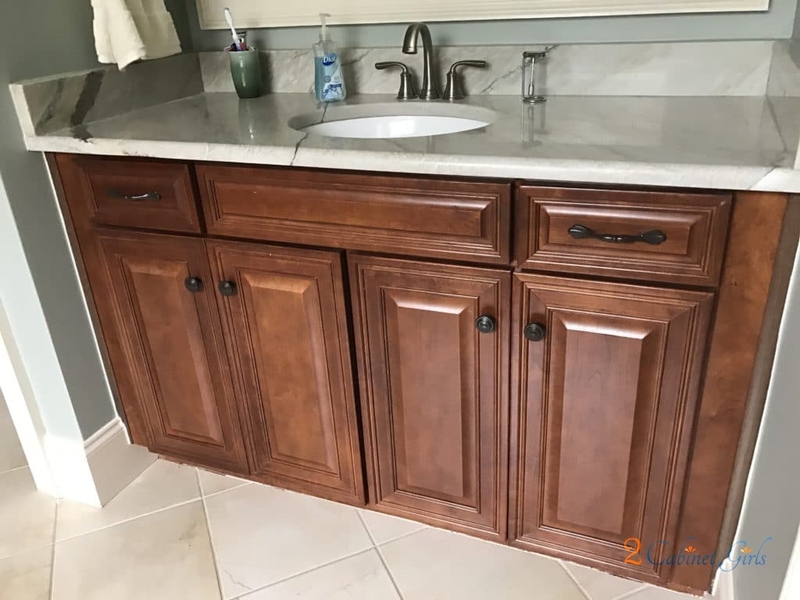 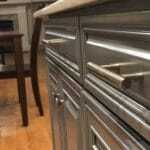 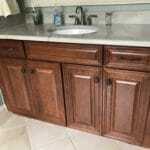 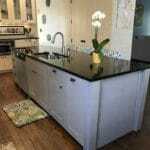 The cabinets were so overpowering that you probably didn’t even notice the gorgeous apron front copper sink did you?! 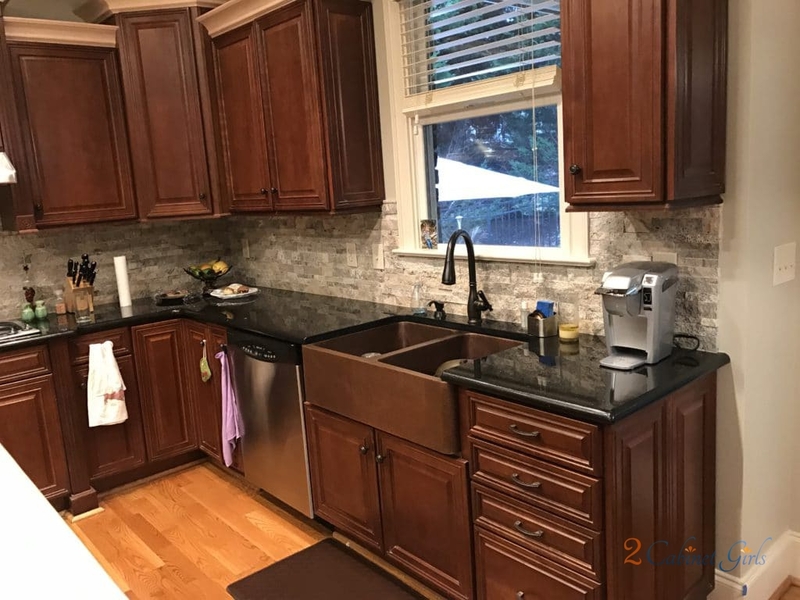 Now it’s a show piece.